Alice M. (Provencher) Beaudoin, 88 of Cumberland, RI died on Wednesday, November 28, 2018 at the Friendly Home in Woonsocket. Born in North Providence, on November 15, 1930 she was a daughter of the late Henry and Aurore (Ducharme) Provencher. She attended St. Xavier High School. 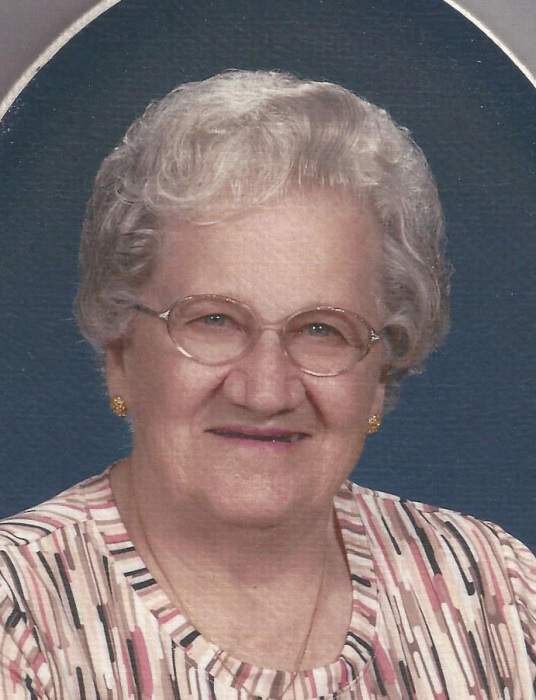 She was a homemaker and resident of Cumberland for sixty three years. She was the wife of the late Leo J. Beaudoin Sr. whom she married in 1950, and the loving mother of seven children; Alice M. Chamberlain and husband Joseph (Gerry) of Cumberland, Leo J. Beaudoin Jr and wife Karlene of Sarasota, FL, Beverly A. Andrade, and husband John of Cumberland, Norman R. Beaudoin and wife Lorrie of Cumberland, Raymond H. Beaudoin and wife Elaine of North Smithfield, Michael R. Beaudoin and wife Caryn of Cumberland and Gail P. Girard and husband Eugene of Woonsocket, eighteen grandchildren, eleven great-grandchildren and several nieces and nephews. She will be greatly missed. She is predeceased by her infant daughter Lorraine D. Beaudoin, and siblings, Laura Arcand, Henry Provencher, Winifred Pouliot, Archille (Joe) Provencher, and Albert Provencher. She loved traveling with her niece Doris Arcand, shopping, playing cards, completing crossword puzzles and playing bingo. Alice was a member of the Resident Council and the Red Hat Society at the Friendly Home. Her funeral will be held Monday at 9:00 AM from the Fournier & Fournier Funeral Home, 99 Cumberland St. Woonsocket, with a Mass of Christian Burial at 10:00 AM in St. John Vianney Church, Diamond Hill Rd. Cumberland, RI. Burial will follow in St. Jean Baptiste Cemetery in Bellingham. Visiting hours are Sunday 4-7 PM. In lieu of flowers donations to the Friendly Home Activities Fund, 303 Rhodes Ave. Woonsocket, RI 02895 or the Leukemia Society, 2348 Post Rd. Suite 116, Warwick, RI, 02886 in her memory would be appreciated. The Friendly Home Activities Dept.